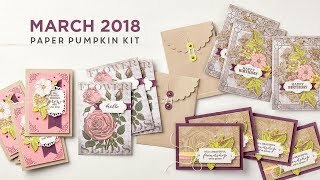 Isn't it kind of cool that they made the Stacked with Love Designer Series Paper Stack a seasonal yet versatile paper set?! It's in the Spring Occasions 2015 Catalog, like the Mothers Love stamp set. You can use the papers all year for your love cards, for anniversary or wedding cards, or even just add a modern pop of black and white to any occasion. If you have any of that stack left, the scraps make bright little accents for cards. I might even get another stack to have on hand, the love patterns are pretty classic! This card has a Crisp Cantaloupe base with the Mothers Love stamps in Real Red, Calypso Coral and Cantaloupe. The contrast between the black layer and the DSP and stamps is pretty, yet bold! Just like Mom, right? I also added some of the Stacked with Love paper to the inside of the Black base for a writing spot. A card as pretty inside as it is outside. Just like Mom, right?! For this third card, you can see I took a break from the stamping. (I had to wash my hands several times during that previous card session!) I got to use a good chunk of my scraps to create the background of this card. I like how it came out, its so hard for me to DO random, but using the paper sets really helps with a random yet matching layout! Woven and stacked layers, accented with Candy Dots and a few rhinestones give a really eye catching backdrop for the simple sentiment. The Calypso Coral base and the Crisp Cantaloupe layer have only two corners rounded, to add to the eclectic look. Behind the sentiment layer, I have a Tea Lace Paper Doily, some Crisp Cantaloupe Thick Bakers Twine, and Real Red 1/4" Cotton Ribbon. Woven together with vibrant love, eye-catching soft and sharp layers. Just like Mom, right?! And then there is the last card. Washi Tape. 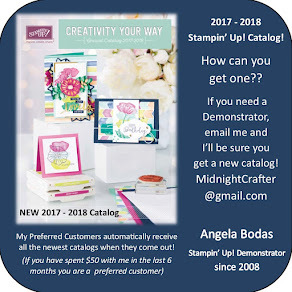 I am trying to use it on more than envelopes and my calendar!! The Black, Grey, Coral and Cantaloupe fit my color scheme of the day, and let me try the eclectic layered look with a different feel. I used tape from the Sweet Sadie, and Epic Day, Designer Washi Tape sets. I colored those little strips of Rhinestones with Cherry Cobbler and Pumpkin Pie Blendabilities and scattered little trios around the card. Fun, coordinated, yet a little crazy in its own way. Just like Mom, right?! Paper Pump-kin, Paper Pump-kin, Pa-per Pump-kin, Paper Pumpkin!! Paper Pumpkin ships out after the 10th, so SIGN UP today and don't miss another month! !